Starting in December 2010, SWAP movies are made for a complete month. The image cadence is 1 hour and blurred images are removed. The movie will be made in the first week of each month and will appear in the folder proba2.sidc.be/swap/data/mpg/movies/YYYY/MM/. Enjoy the movies of December 2010 and January 2011. 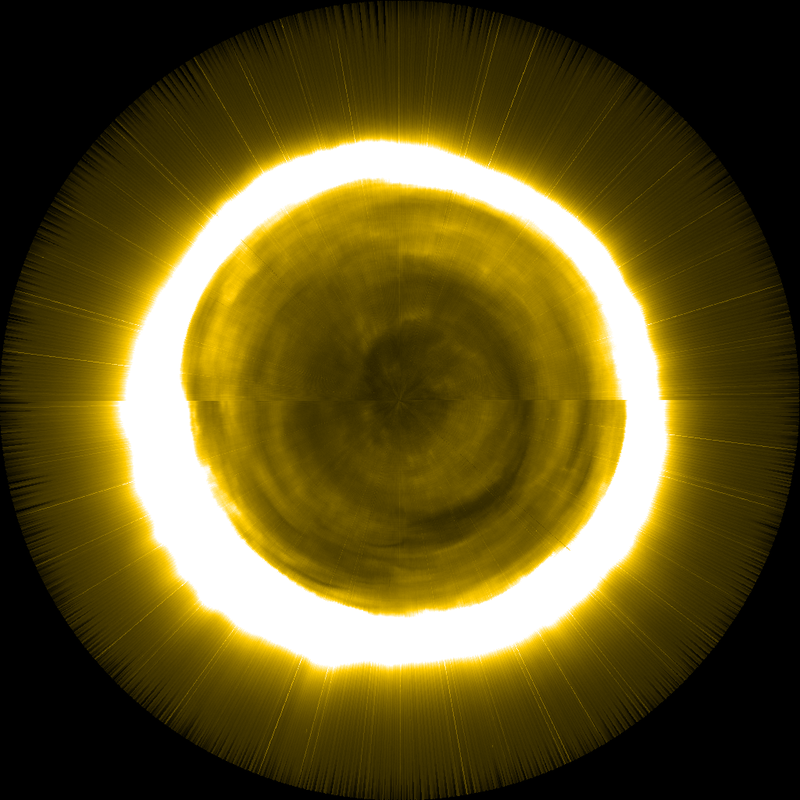 On January 4, SWAP and LYRA observed the partial solar eclipse. Good news! 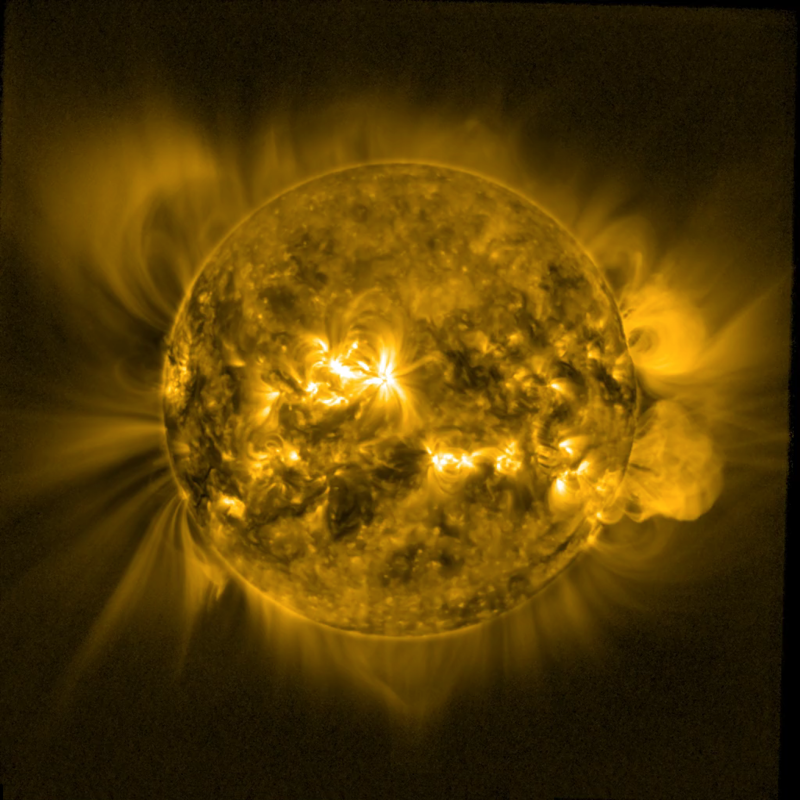 On November 18, the ESA Science Programme Committee has approved the extension of PROBA2 operations until the end of 2012. SWAP and LYRA data will be scientifically exploited for at least one year longer than originally planned. This gives the science team at ROB an extra boost to proof the science excellence of these 2 instruments in the following years. Read more in the ESA article online. 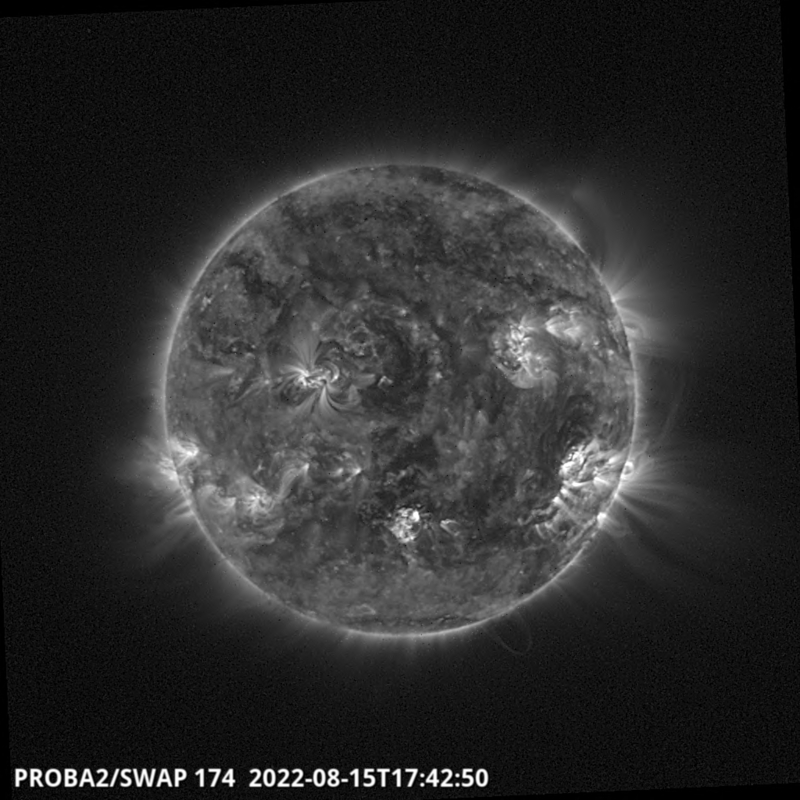 The eclipse season has started for PROBA2, although not in all channels/instruments yet. 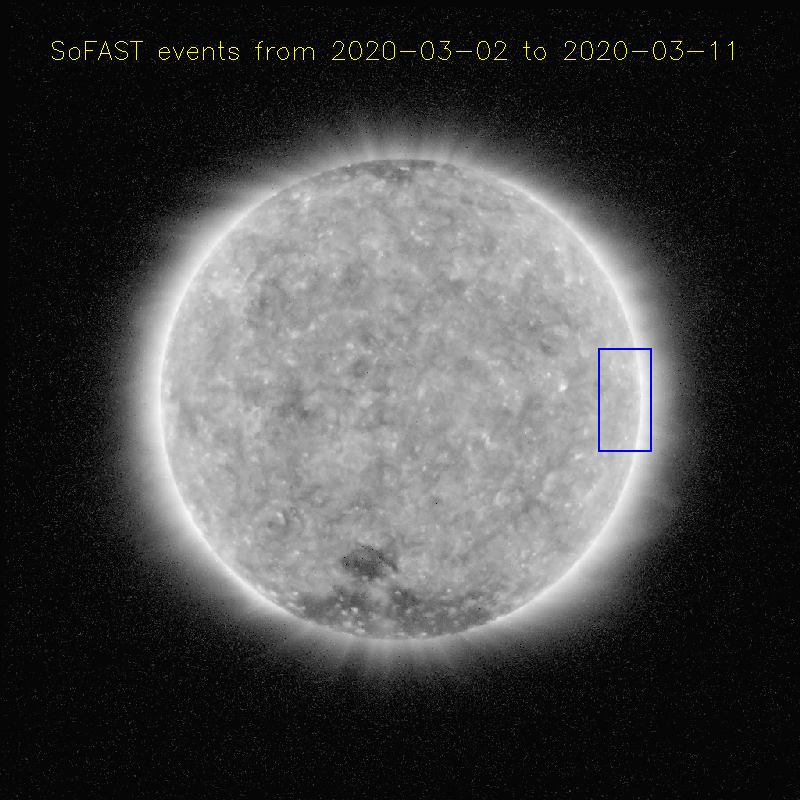 Every winter, the solar (E/X)UV signals SWAP and LYRA observe are obscured by the Earth and Earth’s atmosphere. 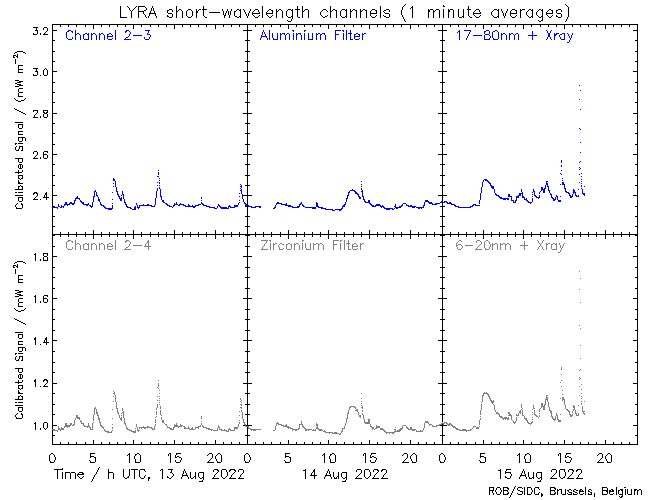 Earlier this week, we saw the first effects of the filtering by the Earth’s atmosphere in the two short-wavelength LYRA channels: Al and Zr. The long wavelength channels, neither SWAP show any effect yet but this will come very soon, later this week. From October 12 10:30 till October 13 10:30 SWAP was in a so-called bake-out campaign with the telescope detector heated to 50C. In previous months, the sensitivity of the detector was slowly degrading (in the order of few %) . With the current bake-out campaign we attempt to reverse this degradation. The detector heating can possibly evaporate condensation from the detector or annihilate radiation induced crystal defects in the silicon of the detector. Future analysis will reveal if the bake-out campaign indeed has a positive effect. On July 11, 2010, a total solar eclipse took place which on Earth could only be seen from the South Pacific Ocean and Easter Island. From the dawn-dusk orbit in which PROBA2 resides, the totality could not be seen, but the spacecraft did cross the lunar shadow path four times. As a result, SWAP and LYRA registered four partial eclipses in five hours time. Enjoy the spectacle in the SWAP movie below. On June 22, 2010, a PROBA2 workshop took place at ESA/ESTEC to review the status of the spacecraft, onboard technology demonstrators and instruments after 8 months in space. Several colleagues of the PROBA2 Science Center participated and presented SWAP, LYRA and the Science Center located at the Royal Observatory in Belgium.